Sellstate's system allows you to remain in control of your business whether your are out of the office or traveling the globe. Our single-login, cloud-based Power Suite keeps your leads, tools and contacts at your fingertips no matter where you are. Enjoy the freedom of being able to grow your business from anywhere in the world. Sellstate's innovative Power Suite continues to build your business even when you're not there. The intelligent virtual office automatically runs in the background creating and nurturing leads while generating income for you. Even while you are spending time away from the office, your clients will continue to receive communication from you addressing their needs in a timely, professional manner. Contact us today to get started. Sellstate is a lifestyle. We value office culture, teamwork, education, and above all, agent empowerment. Our vision is to help you achieve yours. Becoming a Sellstate Real Estate Advisor is a commitment and an investment - a commitment to your business and an investment in your future. It shows that you value your freedom and have the drive to achieve success. 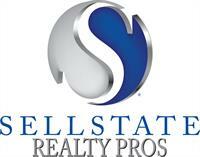 The heart and soul of Sellstate is you, the Real Estate Advisor! The entire company was built on a philosophy of partnership and mutual respect. Our founders are a product of our industry, having spent many decades living every facet of our business. Our mission is to ensure that every single member benefits from the Sellstate Experience - Lifestyle, Freedom, and Achievement.